Now that beach trips and barbecues are but fond memories of weeks past, you’ll find that the rest of your summer is shaping up to be considerably less busy. Sitting in a dark, heavily air-conditioned theater is one of the best ways to beat that killer New York City heat, so kick back and check out some of these shows before they fade into closed oblivion. 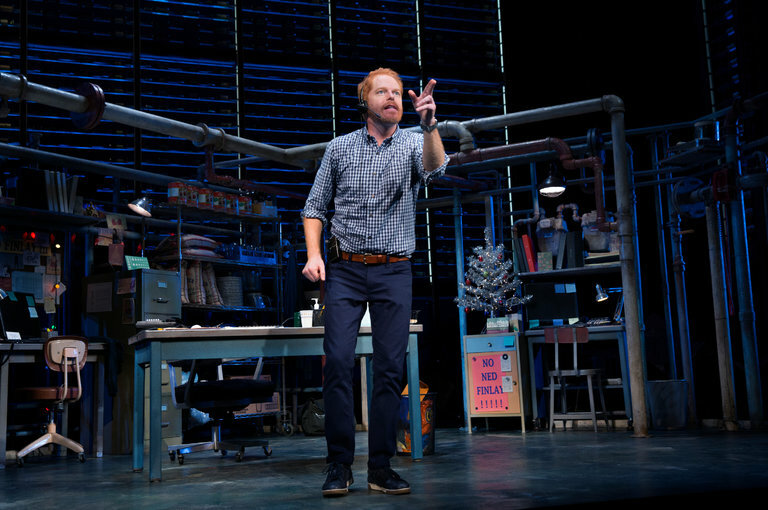 What happens when everyone else calls out of work and Modern Family‘s Jesse Tyler Ferguson is left alone as a reservation taker at a posh NYC restaurant? Find out in this one-man tour-de-force that has Ferguson going back and forth between 40 different characters. Fully Committed ends its limited run at the Lyceum Theatre on July 31. 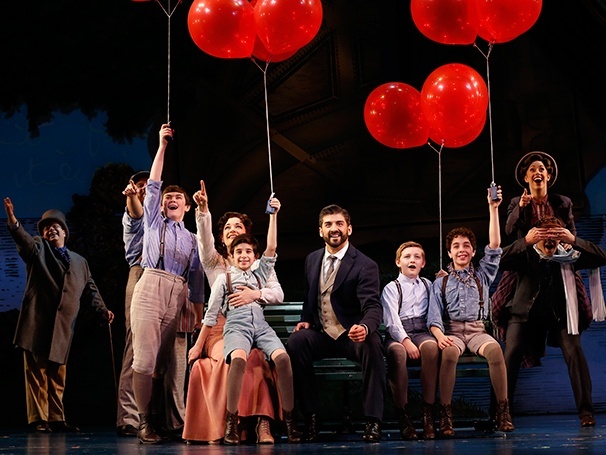 Based on the 2004 film of the same name, Finding Neverland tells the story of Peter Pan author J.M. Barrie, and a widow and her four sons who served as his inspiration. The closing cast includes Tony Yazbeck in the role of J.M. Barrie, Laura Michele Kelly, Paul Slade Smith, and Carolee Carmello. 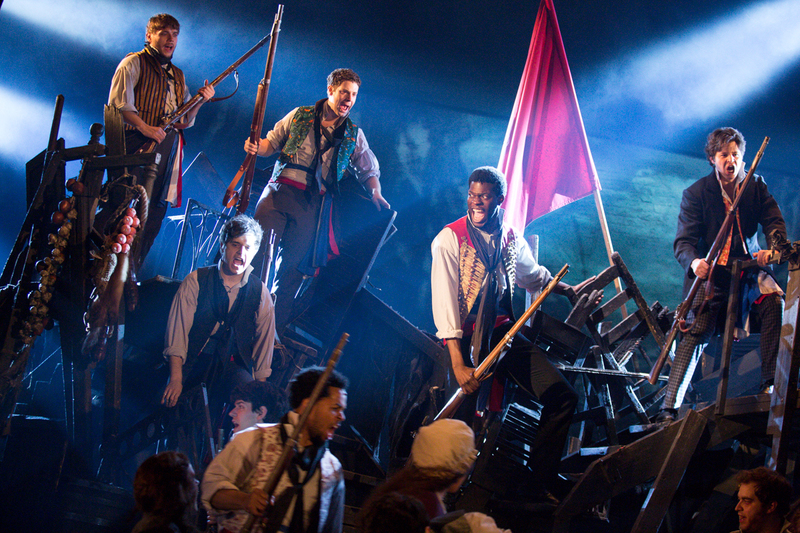 The third Broadway revival of Les Misérables closes on September 4, so try to make your way to the barricades before then! This prolific show is a staple of modern musical theatre…don’t you want to be able to say you’ve seen it on Broadway? Have questions for the man upstairs? Look no further! 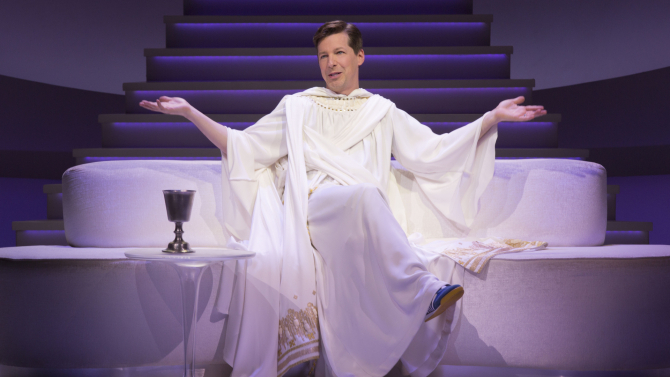 Sean Hayes, of Will and Grace fame, stars in this hilarious comedy in which God and his angels debate the intricacies of Heaven and Earth. The limited run concludes September 4, following a previously successful run last summer that starred Jim Parsons. Experience this acclaimed National Theatre production for yourself before it’s too late. Its innovative staging and award-winning scenic design makes for a particularly emotional response to main character Christopher’s quest to discover the culprit that killed his neighbor’s dog. The Curious Incident of the Dog in the Night-Time closes September 4 with 23 previews and 800 performances under its belt. Fun Home is a moving, passionate piece based on the graphic novel of the same name by Alison Bechdel. 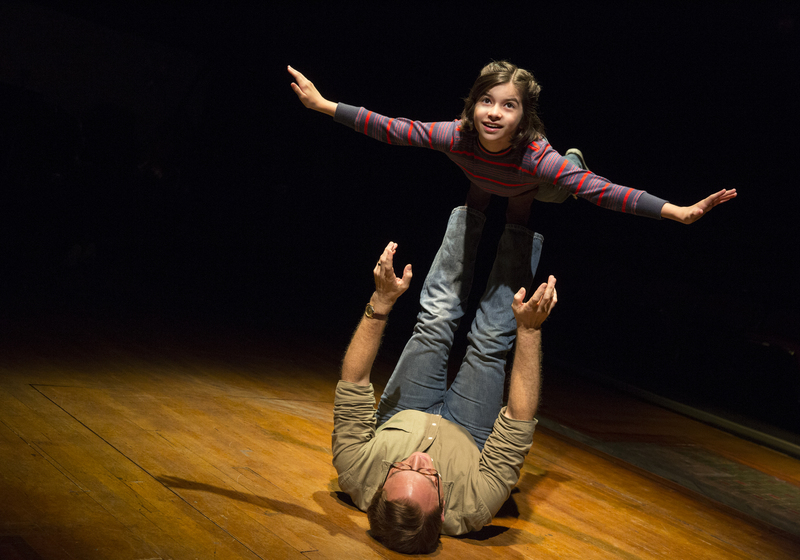 Much more than just a “coming of age” musical, Fun Home still retains the majority of its stellar original Broadway cast, including Tony Award-winner Michael Cerveris, Judy Kuhn, Beth Malone, and Emily Skeggs, so do yourself a favor and get to the Circle in the Square before September 10.